Father Nicholas Dustin Blackwell prays during his Mass of Ordination celebrated by Cardinal Dolan at the National Shrine of Our Lady of Mount Carmel in Middletown Aug. 26. Father Blackwell greets friends and family at a reception following Mass. Father Blackwell kneels before Cardinal Dolan during the laying of the hands during the Rite of Ordination. Father Nicholas Dustin Blackwell, O. Carm., was ordained by Cardinal Dolan at the National Shrine of Our Lady of Mount Carmel in Middletown Aug. 26. 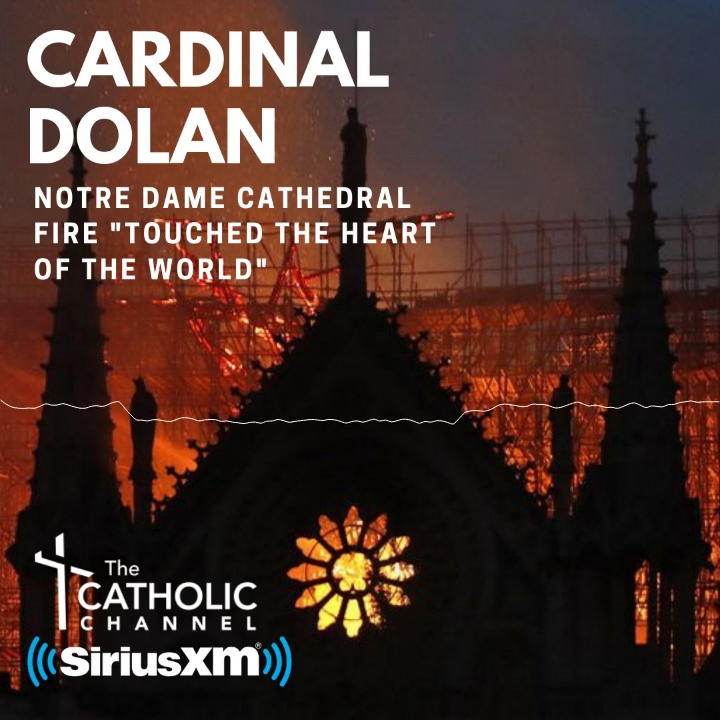 Cardinal Dolan was the principal celebrant, and Auxiliary Bishop Dominick Lagonegro, episcopal vicar for Orange, Sullivan, Ulster and Rockland, was one of the concelebrants. The next day, Father Blackwell, 34, celebrated his first Mass at Our Lady of Mount Carmel Church, located across the street from the National Shrine. He will serve as parochial vicar at St. Simon Stock-St. Joseph parish in the Bronx. He was assigned in residence to St. Simon-Stock-St. Joseph in January before taking an immersion course in Spanish in Peru for three months. Born in Cass City, Mich., he entered the Carmelite Order in 2011. After professing first vows in 2012, he served an internship at St. Michael’s Priory in Trinidad. A year later, he did an internship at Mount St. Mary College in Newburgh and assisted in the pastoral ministry at Orange Regional Medical Center in Middletown. He professed final vows last year. He received a bachelor’s degree in history from Northern Michigan University and his Master of Divinity degree from The Catholic University of America in Washington, D.C., where he was involved with the Catholic Campus Ministry. He served in Gambia with the Peace Corps for one year after college.